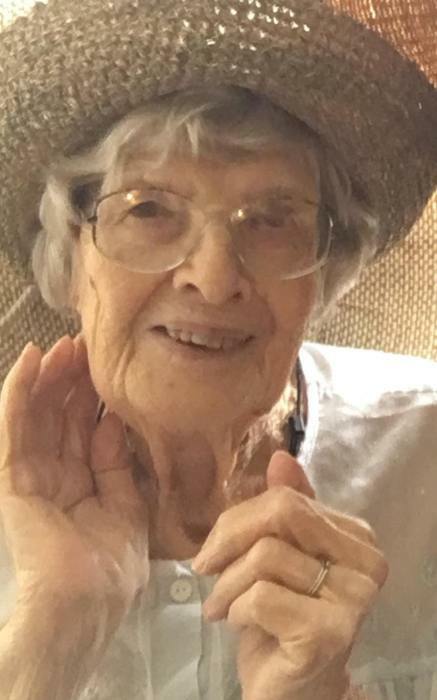 Marion I. Kansier, age 94, of Eastpointe, went home to be with our Lord on January 31st, 2019. She joins Claire, her beloved husband of 56 years, parents Elsa and Carl Rehahn, and Sister Ruth (Charles) Stapleton. Loving mother of Leah Kansier Simonsen. Wonderful grandmother of Kaitlyn, Stacia and Jamison. Also survived by sister-in-laws Cara and Dolores, many nieces and nephews, very dear cousins, and Rodney Simonsen. Preceded in death by sister and brother’s in law, Eleanor (Allan) Loding, Roger Kansier and William Standbridge. Marion lived her life almost on the same block. She was born in Erin Township which incorporated into the Village of Halfway, then the City of East Detroit and now Eastpointe. She was a successful career woman as an office manager in Downtown Detroit for 17 years until becoming a homemaker when her daughter was born. She was always very involved in her church. Marion was very kind at all times, and very wise, yet had a keen wit. Above all, Marion was a faithful woman, entirely devoted to loving her husband, daughter, and her three granddaughters, in whom she took incredible pride and joy. Family will receive friends on Tuesday 2-9PM at the A.H. Peters Funeral Home, 32000 Schoenherr at Masonic, Warren. Instate Wednesday 10AM until time of service 11AM at St. Peter's Lutheran Church, 23000 Gratiot Ave., Eastpointe. Memorial contributions may be made to St. Peter's Lutheran Church Foundation or Samaritas, formally Lutheran Social Services of Michigan.